One Loudoun is Loudoun County’s new downtown! 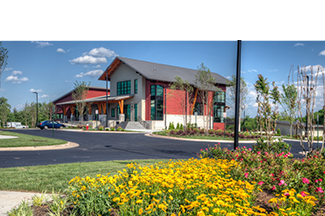 It’s a unique place of sophisticated culture and urban-inspired architecture located in the heart of Loudoun County, VA at Rt. 7 and Loudoun County Parkway. Comprising 358 acres, the community integrates a town atmosphere with great neighborhoods and an exciting downtown of retail, dining, and entertainment. 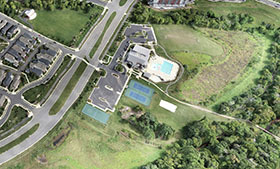 When complete, One Loudoun will include 1040 residences of single family homes, townhomes and condominiums with more than 100 acres of parks and trails, extensive outdoor amenities, and a ballpark. The downtown showcases a relaxing plaza with interactive fountain and Wi-Fi availability. One Loudoun is growing by leaps and bounds! Newly complete and open is The Barn at One Loudoun, a community amphitheater and barn venue that will host community social events. 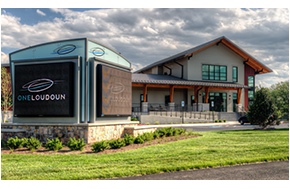 Now open is The Club at One Loudoun, the community recreation facility which will include half-court basketball, meeting rooms, an outdoor multipurpose court, tennis courts, sand volleyball court and an outdoor pool facility.